Building on the runway will begin in 2017. DUBLIN AIRPORT ANNOUNCED today that it is progressing with the building of a new runway, with a view to having it completed by 2020. The airport will be investing €320 million into the new build – which will begin proper 2017 after enabling works are carried out later this year. 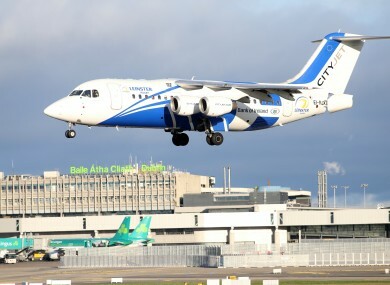 The airport initially received planning permission to build the runway from Fingal County Council almost 10 years ago in August 2007, but the plans were put on hold due to the fall in passenger numbers brought about by the economic downturn. Officials from the airport said now that a rise in passenger numbers and increased revenue meant that a new runway was needed to ensure the continuation of growth by having sufficient capacity to accommodate future demand. The 3,110 metre runway will be built 1.6km north of the current one. Dublin Airport chief executive Kevin Toland said that the runway would “significantly improve Ireland’s connectivity”. “We are progressing our plans to deliver the new runway in accordance with the development and pathway for growth outlined in the Government’s National Aviation Policy (NAP),” he said. Dublin Airport’s North Runway will significantly improve Ireland’s connectivity supporting trade, foreign direct investment and tourism. Toland also said that the airport was “very conscious” of the need to balance the national interest with the interests of the local communities. “We will continue to work closely with our neighbours in relation to this project,” he said. The build will support around 1,200 jobs during the development and had the potential to open up connectivity to a range of long-haul destinations, the airport said. Tourism and Transport Minister Paschal Donohoe said that the runway was “of major strategic importance to Ireland” and had the potential to create thousands of new jobs in the coming years. Email “Dublin Airport is getting a new runway at a cost of €320 million”. Feedback on “Dublin Airport is getting a new runway at a cost of €320 million”.